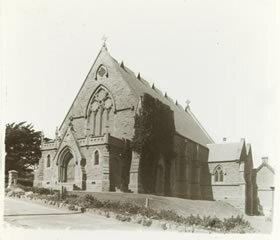 Our Churches & Religion collection covers a period of 1868 – 1966 and contains over 1.8 million Australian records to assist your family history and genealogy research. Aside from basic details, there's also a huge amount of valuable and fascinating cultural information that makes it great for historians and social researchers too. exploring family history or building a family tree. There are currently long runs of many church records available for searching. The Australia Lutheran records give an amazing insight into the issues of the day and the development and role of the church in Australian history. It also provides a large amount of information on specific events and people in Australian churches in the form of notices, including many marriages, deaths and obituaries. There's also the Truth and Progress records. The purpose of these records was to begin frequent channels of communication with the churches, and to record and report important works in the church. These included conversions, baptisms, Sunday School and much more. The Queensland Freeman records are a highly sort after data set. The aim of these records was chiefly to unite the Baptist community in Queensland - to strengthen, encourage and inform its members concerning church activities, and to spread the Word throughout the whole of Queensland. However, the journal is particularly interesting for historians as it contains information on Baptist and secular events throughout Queensland, records of baptisms, information on ministers and other people, missions' reports, notices of meetings and many other interesting snippets of information. The Sydney Diocesan Directory is also available. It contains lists of the Anglican clergy (for all states) and significant biographical information for those who held office in the Sydney Diocese; as well as information on the cathedrals, committees, societies and schools. If you have an interest in Anglican history or have Anglican ancestors, these are definitely worth exploring. This is an example of one of the many issues of Australian Lutheran available. They contain an abundance of information relating to the Lutheran Church in Australian and useful information includes notices of marriages, deaths and obituaries. This is an example of the original directory, interesting information such as details on all the Anglican clergy, cathedrals, committees, societies and schools of New South Wales as well as Anglican clergy lists for all other states in Australia is available in each directory.